Today in church we explored a talk given recently by Elder David A. Bednar, “Gather Together in One All Things in Christ.” Elder Bednar, an apostle for the Chuch of Jesus Christ of Latter-day Saints, shared the illustration of a rope as an essential tool with which all of us are familiar. I am one of those unexceptional strands of fiber who becomes stronger when I am laced together by other people of all strengths and temperaments. You are also one of those strands. 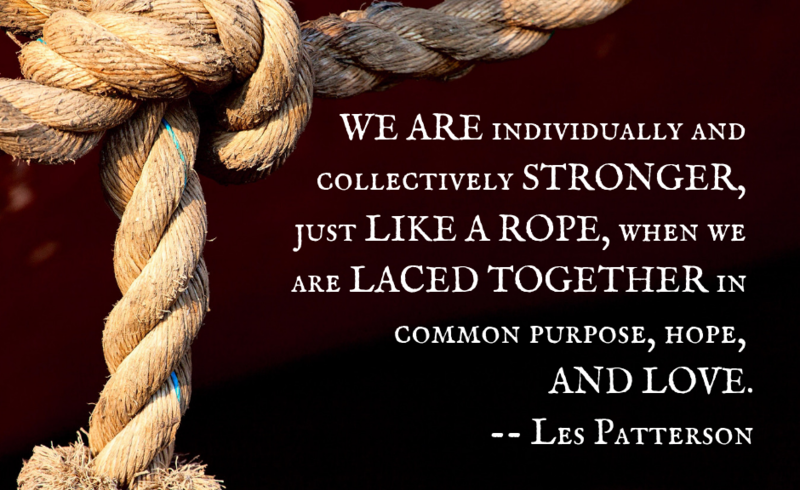 We are individually and collectively stronger, just like a rope, when we are laced together in purpose, hope, and love. Thoughts of inspiration come in many forms, and may be expressed in many ways. The collection of stories, essays, and poetry shared under Red Edge Perspective represents some of my personal efforts to Gain The Red Edge through creative expression. Thanks for letting me share.